As opposed to having rows of volumetric grass, don't they also billboard towards the viewer? I think that was one of the other effects that I didn't care for. Maybe I should have been more clear, but yes, the volumetric grass effect which was commented out in the materials call. It is my personal opinion that the new grass shader actually kills the immersion for me. Do I get this right? You look up and uncomment a section in materials.xml and then complain that it kills immersion for you? The solution to that one seems really simple - don't do it, and don't complain to the rest of us about it. We did talk fur shader, and there's only one fur shader in the game (the one depicted above). So the lack of clarity is not from my side here. It's hard to tell exactly what it looks like in a YouTube video after it changes the resolution. Your video depicts, at least partially, the original "wind effect shader". I'm really surprised you prefer it "for looks" over either the volumetric grass or fur shader. For one the the volumetric grass quality is limited only by the artists ability. What I posted was something I created in about an hour. A skilled artist could produce much better results. Combination fur shader and volumetric grass. I don't think they compare at all. I apologize for hijacking this thread, maybe a moderator would be so kind as to separate the posts relating to the effects framework to a new thread. The terrain and materials waving grass/crop shader does an admirable job on it's own, why attempt to model millions of little shader sprites when it'll haul down the frame rates of the average potential FG user's PC with an integrated vid card? I'm frankly not sure what your point here is. Maybe you could just state it plain so that I understand it as well? I'm looking at your screenshots, and what I see is lots of ALS ground shaders (often with seasonal effect running) as well as AW clouds. In other words, if I'd have listened to people expressing pretty much the same sentiment as you do now, you would have nothing of what you seem to enjoy in your screenshots. Fast-forward a few years from all these comments and take a tour of FSWeekend, and you get to talk to FSX users who get envious about FGs weather rendering (the one that used to be called 'waste of framerate') or to an old virtual Helicopter pilot who got all starry-eyed when he learned that we can do grass waving and water churning when exposed to rotor wash, a feature he's been waiting for for a very long time. So at the end of the day, really all I can read in your comments is that you would allocate development resources differently. Well, that's fine - you allocate your resources how you like to - if you have a better grass effect, you make a merge request and we integrate it - that's how the fur shader came into the game, IcecodeGL wrote it and made a merge request. But to hijack this thread to tell us that you want my development resources allocated differently because your taste in visuals is different from mine, that's, sorry to say, a bit petty. 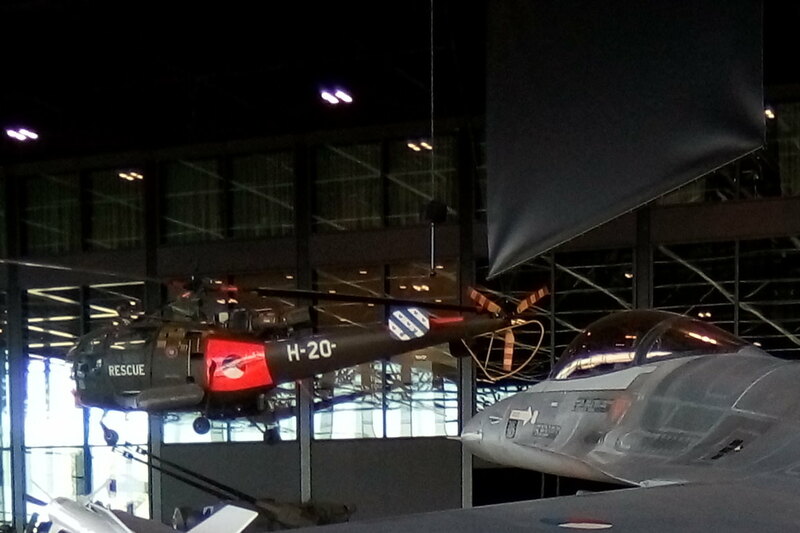 From where i can download this latest Alouette III ? On the grass subject. While the blowing with the rotor wash is a great idea, having it working from the eye point is not. 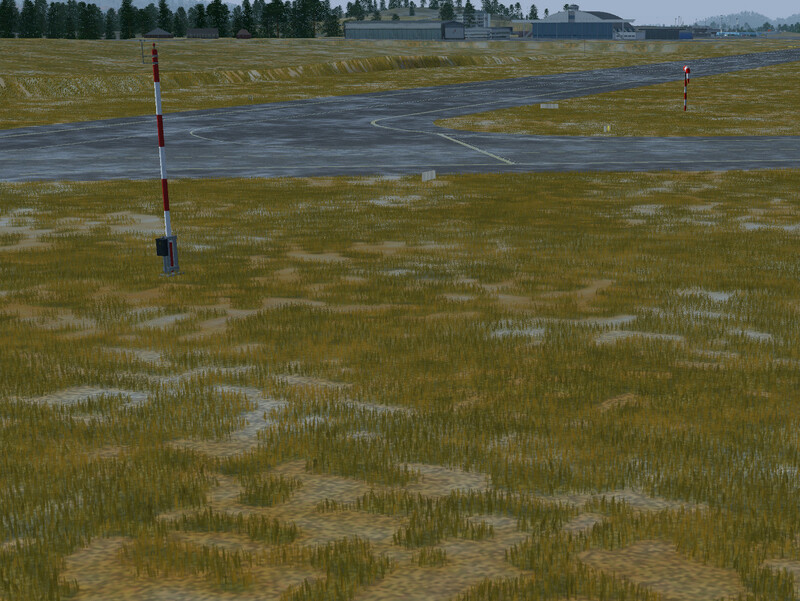 If you are doing a video, on external view, the grass rotor effect is offset away from the rotor and looks weird. 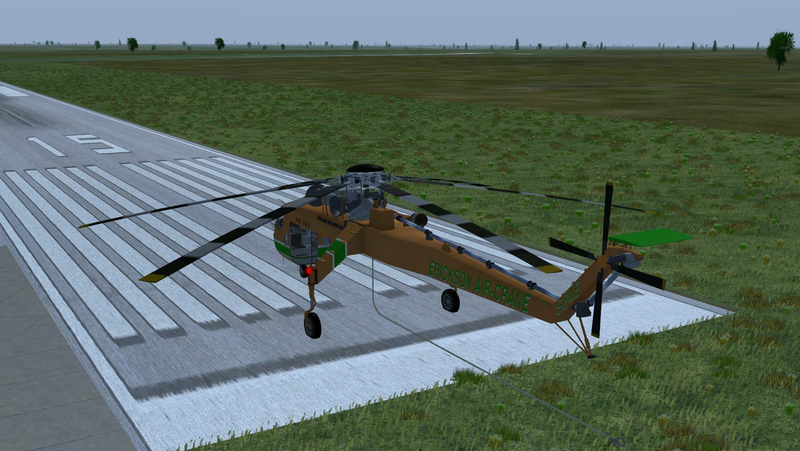 Why not have it calculate based on the main rotor position ( in the FDM ) rather than eye position ?? 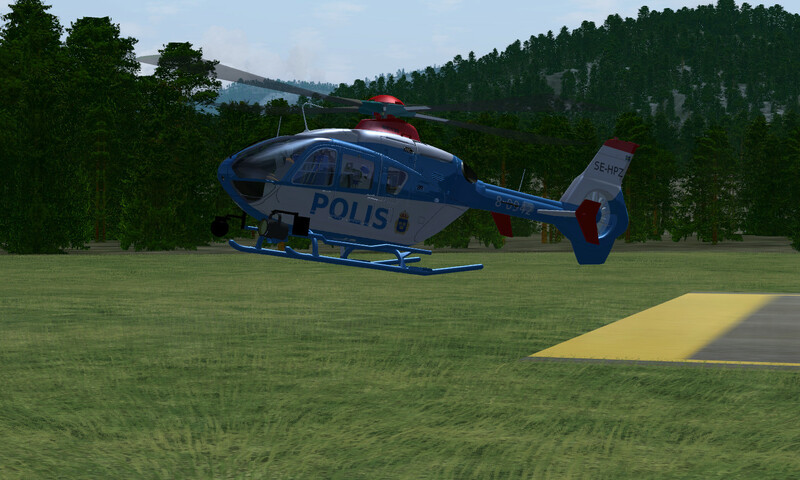 Why not have it calculate based on the main rotor position ( in the FDM ) rather than eye position ?? 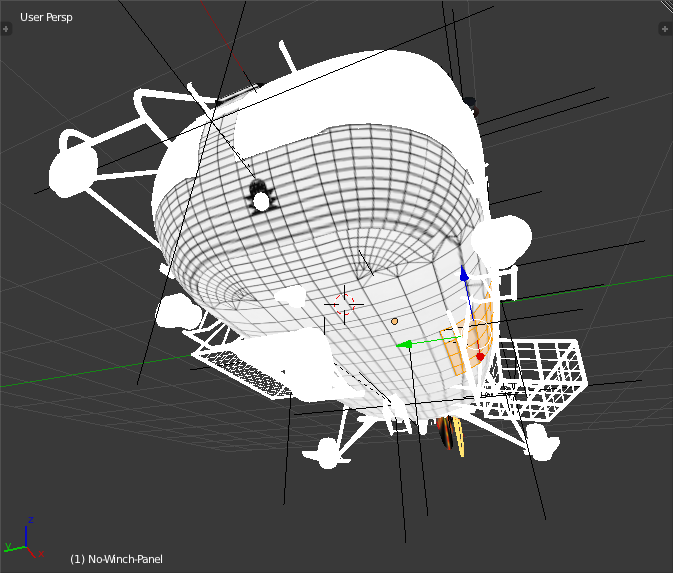 To work in external views, the displacement needs to be computed by e.g. a Nasal script or property rules, the same is true if the rotor is not close to the eye point. 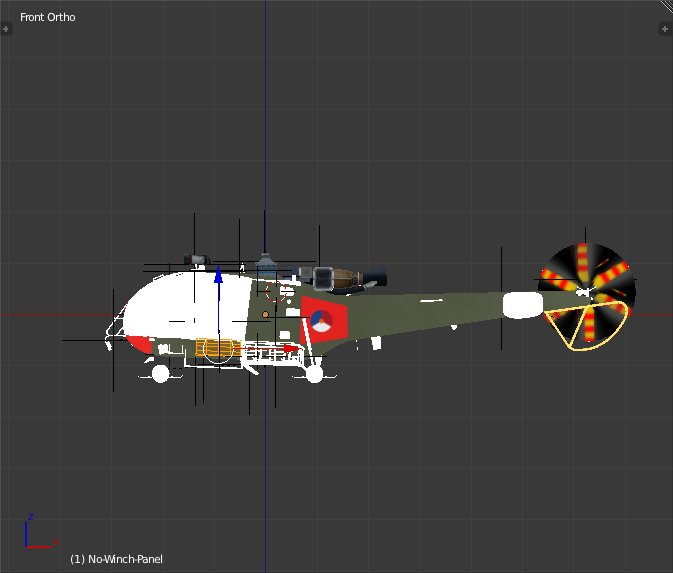 Had some fun with the Alouette III, and decided to do a better UV unwrap so it could be made livery selectable. And don't worry I've made a unwrap which also should support the livery it has now (Sécurité civile). 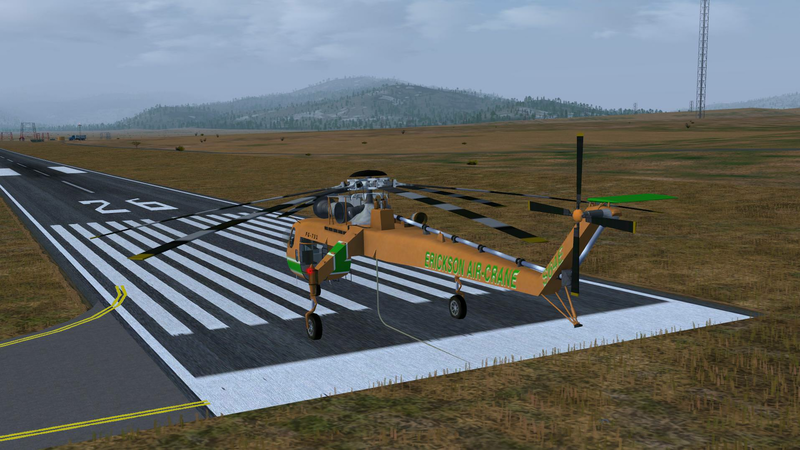 Early start with a new livery, and in orange a panel which should be there with Alouette's without a winch (so probably I should try to make the winch also selectable). Oh - nice. Feel free to join maintenance, I'm mainly attached to FDM/AP and effects here, any texturing/livery work is entirely welcome. This at line 650 of animation-dev.xml causes a crash; <atan> should not have two arguments.